"I'm taking it one game at a time. My ultimate dream is not to win a World Cup. I've changed my mind set. I feel it will be nice to win it, it'll be a bonus, but if I don't, it's not going to define my career," De Villiers said. 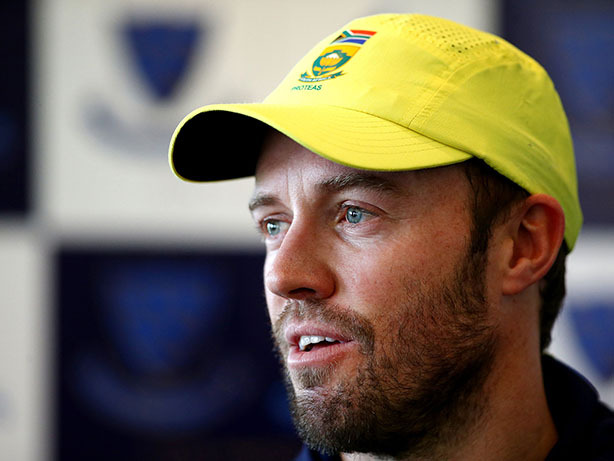 Johannesburg: It seems that the World Cup has moved down on the bucket list of AB de Villiers, after the South African batsman said that winning the coveted trophy is not his ultimate dream anymore. It can be recalled that it was De Villiers' drive to clinch the coveted trophy that he had decided to miss most of the Test matches in 2017 to switch his focus entirely on white-ball cricket in the lead up to the ICC Cricket World Cup 2019. However, the 34-year-old made a successful comeback in all three formats of the game in 2018 as went on to notch four half-centuries and a century in South Africa's 3-1 Test series win over Australia. "I'm taking it one game at a time. My ultimate dream is not to win a World Cup. I've changed my mind set. I feel it will be nice to win it, it'll be a bonus, but if I don't, it's not going to define my career," the International Cricket Council (ICC) quoted the South African batsman, as saying. "I've committed to all three formats last season and I loved every second of it. I'll take it one game at a time from here on," he added.